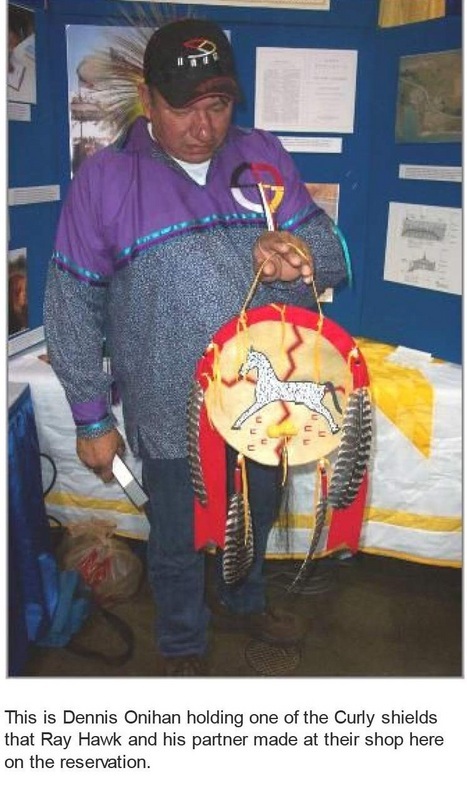 "I talked with David about his mare Sundancer and if he'd be interested in donating her or reducing the selling price so perhaps she could be purchased through donations & perhaps ICHO's help. I found out he first said he was not interested in donating her and that she was consigned to a sale & he needed to know by Nov 1 is he should pull her from the sale if she could be purchased outright. Soooo I asked if anyone was willing to help purchase Sundancer for Diamond Willow for the Sioux childrens riding program. Then David emailed me with this fantastic offer of donating Sundancer's 5 mo old filly & selling Sundancer for $100 & taking a loss, his accountant helped him with the details. 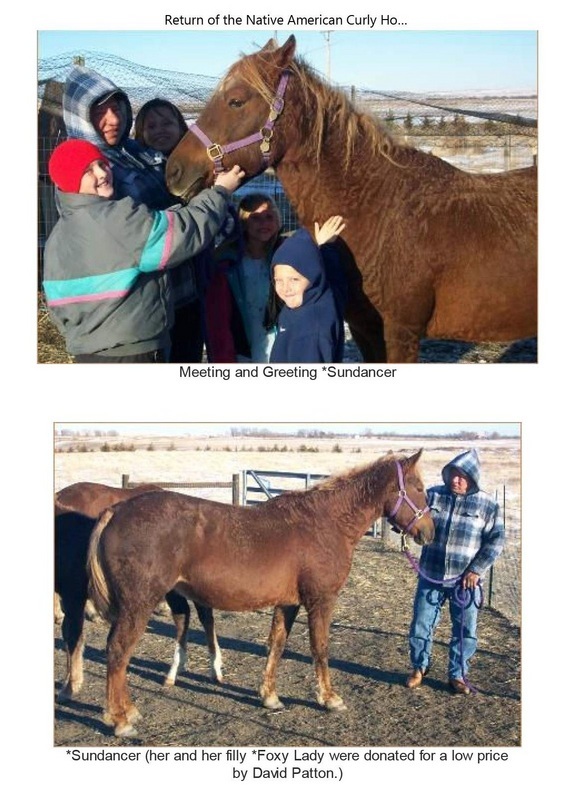 I asked ICHO board if they wanted to "buy" Sundancer for $100 for Diamond Willow & be a part of reuniting the Curly with the Sioux, they said yes. That's it in a nutshell, this all happened in 5 days!! Miraculous!!" 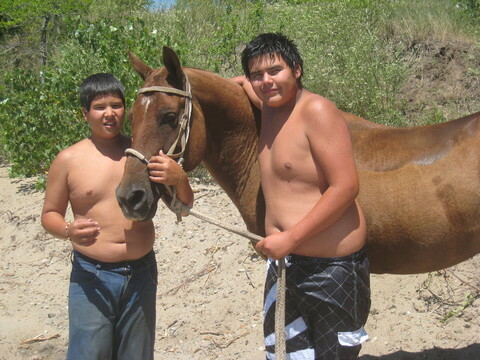 them to see him, on their trip to pick up David's donated mare and Jackie's donated mare." "So that's how that came about. ICHO agreed to handle the donations & give donators a tax deduction. Now many more offers are coming in & it is amazing the support!! Rod is totally in awe & so thankful for everything everyone has done, it's been exciting to say the least. They are also getting another pure old Native bloodline donated mare from our own generous (ICHO Registrar) Jackie! Way to go Jackie!! 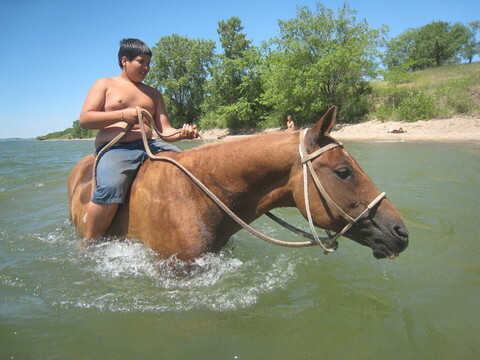 And there is another offer for free breeding to Jo Anns native stallions. Wow this is sooo cool :) What can I say, there's nobody like Curly owners, they are the best!!" Note- Other Curlies were donated by the Fairchilds at a later time. 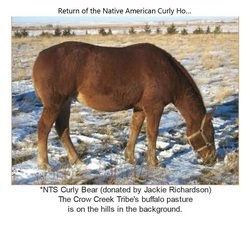 Rod also acquired Red Cloud a Native line gelding. 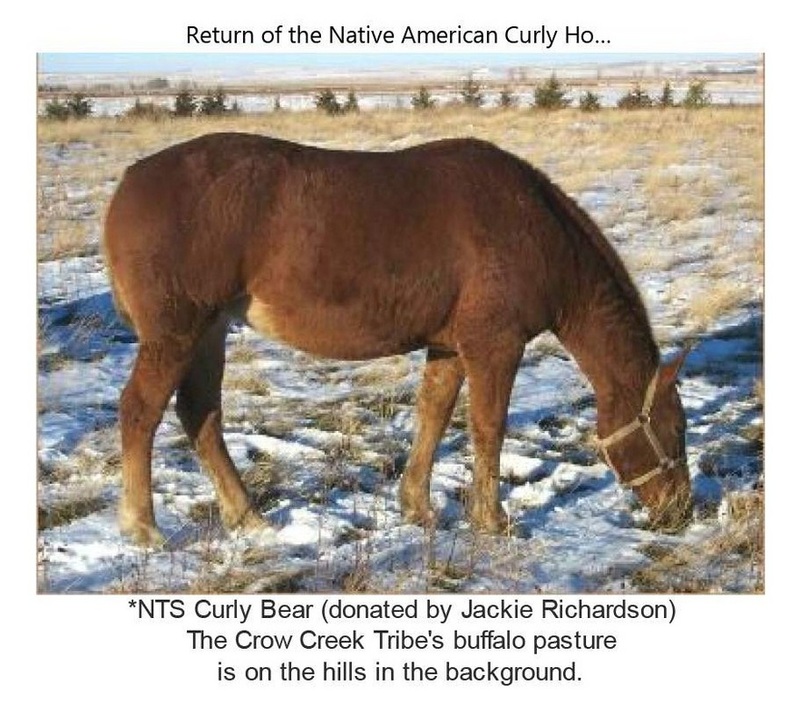 Thanksgiving 2004 UPDATE: The old Sioux lines preservation project continues: Sharon Williams has just delivered both mares back to the Sioux Reservation preg checked in foal to *Frostfire's Big Mac, one of the last few remaining pure old Native American bloodline Curly stallions in existence. 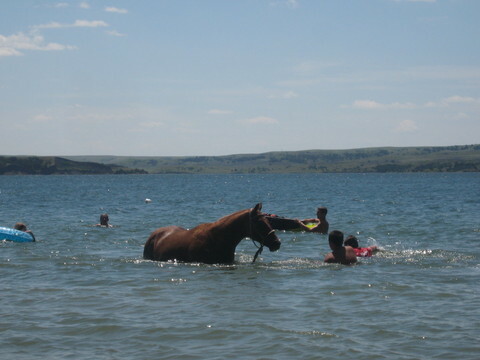 *Big Mac, curiously, also exhibits a soft gait. The young Sioux enjoying their Curlies!